FREE for a limited time – three educational apps to help strengthen basic math skills: 1. FlowPlus: Add, Subtract, Enter the Flow 2. DivisionFlow: Division Re-envisioned and 3. Multiflow: Times Tables Reimagined. The apps have four sections: Enter the Flow, Mad Minute, Reversals, and Pick’Em. 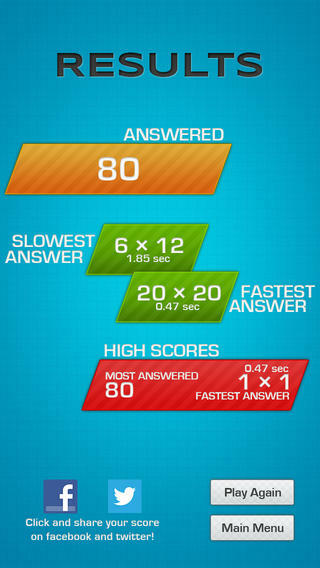 In the Enter the Flow section, kids can choose a beginner setting which allows ten seconds per question or a normal setting which allows five seconds per question. The Flow adapts the level of practice to the child’s performance. The Mad Minute section has two levels: easy (numbers 1-12) or hard (numbers 6-20). Kids have one minute to answer as many questions as possible. The Reversal section changes things – giving students the answer then they have to choose the question. The Pick’Em section lets kids choose the range of tables that they would like to practice. It has three levels: easy (numbers 1-12), hard (numbers 6-20), or all. If you are looking for an electronic version of flashcards, look no further. Go with the FLOW….